BRYAN EATON/Staff photo. 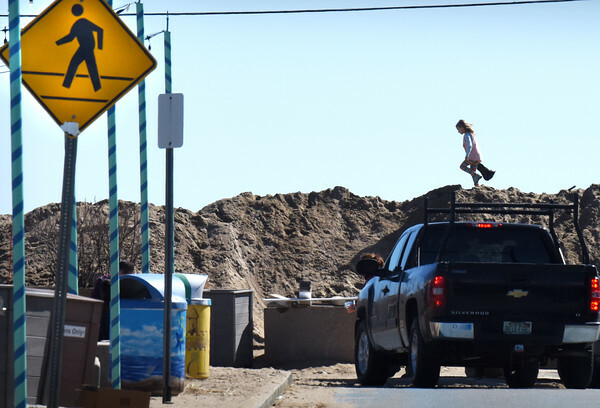 One of several youngsters walk along the piles of sand at Salisbury Beach Center that were used to keep back waves during March's nor'easters. Much sand and debris are still scattered along the beach area soon to be cleaned as the weather improves.